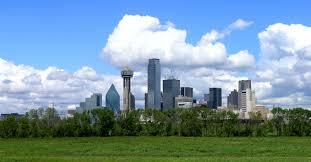 March sales in the Dallas area were up 4% as compared to the same time last year. The average sales price rose 10%. The median sales price saw a 8% increase. Pending sales were a little worrying down 2%. This is the first time in a very long while this number has been negative and at this point I’m attributing it to the shortage of homes for sale to the fact that buyers just can not find a home fitting their lifestyle. New Listings declined 2%. The active listings showed an 8% gain but this is caused by last March’s inventory being so low. The months of inventory actually fell to 2.6 months. The hot spot in the market continues to be homes in the price range of $200,000 to $399,999. This range represents 50.5% of all sales. Homes from $100,000 to $199,999 have the smallest supply at just over 1 month. The market is in balance in the $500,000 to $599,999 range. As you move up the price ranges from $600,000 the market starts tilting to the buyer side and at 1 million plus there is a 12.9 months supply.